Oh Snap! U.S. Tourist Breaks Finger Off 600-Year-Old Statue : The Two-Way At a museum in Florence, Italy, an American apparently broke a cardinal rule: he touched a statue of the Virgin Mary. It's not clear how much it will cost to repair. A close-up of the damaged statue at Florence's Museo dell'Opera del Duomo. 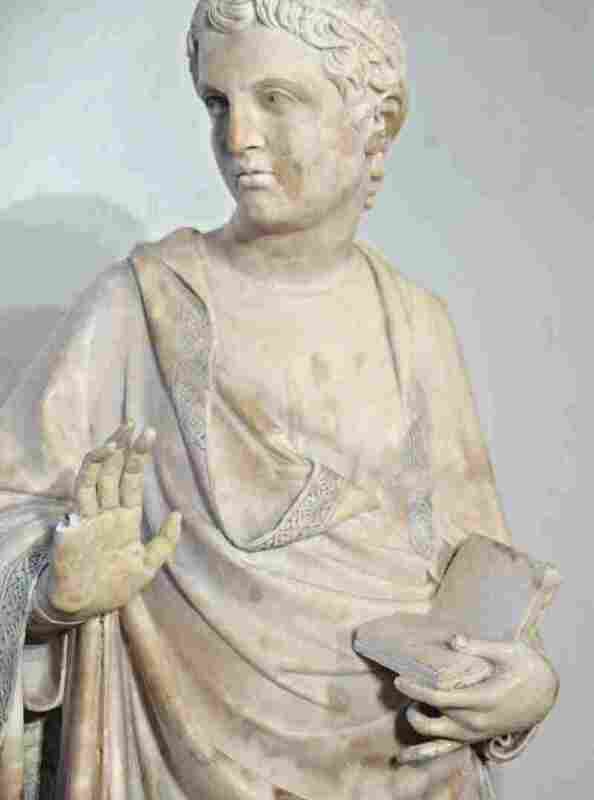 The damaged statue in Florence's Museo dell'Opera. Sky News says the "hapless" tourist "could face a hefty fine." According to the BBC, it's "unclear how much it will cost to fix the finger which was not original and had been added at a later date." The statue of the Virgin Mary is thought to have been made by the 15th-century sculptor Giovanni d'Ambrogio. It was on display at the Museo dell'Opera del Duomo. NBC News says the unnamed tourist is a "55-year-old Missouri man." 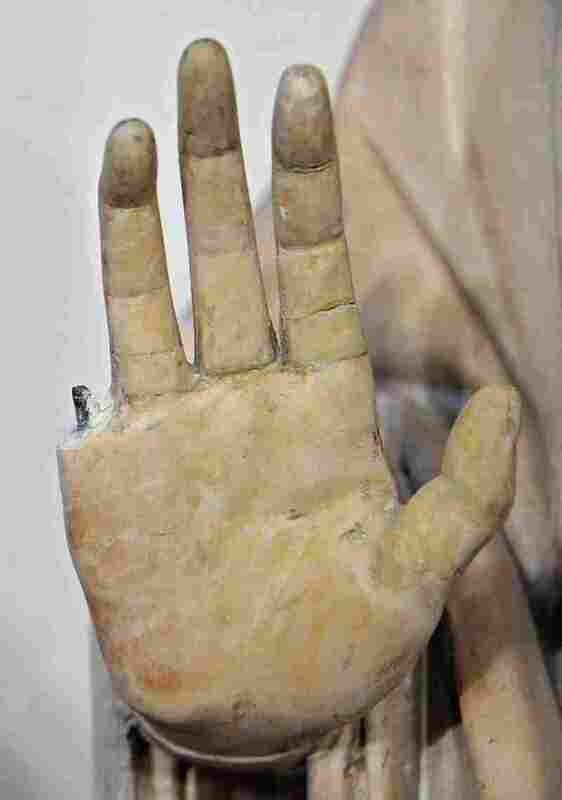 It adds that "whether he was comparing hand spans or giving the statue a high five is unclear but the end result was that the pinky finger of the statue's right hand was broken off." -- The 15-year-old Chinese boy who wrote "Ding Jinhao was here" on an artifact at Egypt's 3,500-year-old Luxor Temple. -- Spain's Cecilia Gímenez, the 80-year-old woman who tried to restore a 19th-century painting of Jesus Christ and turned it into Ecce Mono — "Behold the Monkey." -- The woman who stumbled into a Picasso painting at New York's Metropolitan Museum of Art. The piece of art was gashed and dented. -- The Picasso painting that casino magnate Steve Wynn whacked with his elbow, causing a small hole. -- The landmarks in Washington, D.C., including the Lincoln Memorial, that last month were splattered with green paint. Our friends at Morning Edition remind us all that "just about every museum in the world has the same rule: no touching."